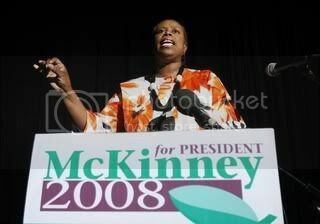 FuseBox Radio: 'Real Spit w/ Politics' Old School Interview + Tunes with 2008 Green Party Presidential Candidate Cynthia McKinney [FLASHBACK SHOW: Week of April 16, 2016] | BlackRadioIsBack.com - Official Blog of the Syndicated FuseBox Radio Broadcast! 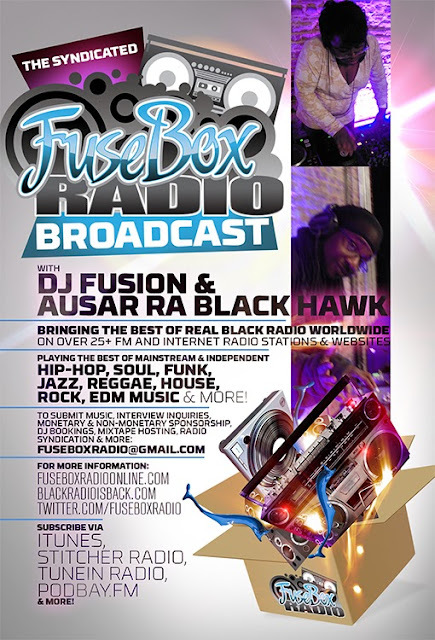 Here's a bonus content flashback episode of the syndicated FuseBox Radio Broadcast with DJ Fusion & Ausar Ra Black Hawk for the week of April 16, 2016 [originally broadcast during the week of October 1, 2008] with some new and classic music from the international Black Diaspora, news and commentary. The FuseBox Radio Broadcast had the honor to do an interview with the Green Party's Candidate for the U.S. Presidency, former Democratic Congresswoman Cynthia McKinney during that week (http://www.twitter.com/CynthiaMcKinney) [the interview starts at approximate 39:55 minute mark of the show]. Some of the things covered thiat interview included the importance of the right and power in both registering AND voting, her party's platform and issues, the ups and downs of this current U.S. Presidential Election in regards to media coverage and so forth, long term corruption in the U.S. government, and more!